THE State Election isn’t the only poll Gold Coast voters are being urged to support. From 7am today, music lovers can help turn a local musician into an overnight megastar by voting for his performances in a groundbreaking global talent search that carries a first prize purse of $1 million. Homegrown singer and musician Chris Black, 25, is on the verge of securing a place in the December 14 grand finale of Megastar, a mobile-first talent contest overseen by US star and judge Usher. Gold Coast singer Chris Black is in the mix to be crowned a Megastar as part of a global talent search being overseen by Usher. Black’s soulful vocal performances have struck a chord with Megastar voters and propelled him through the contest’s early rounds. “I have a really big chance to potentially take this thing out,” the former Merrimac High student said. 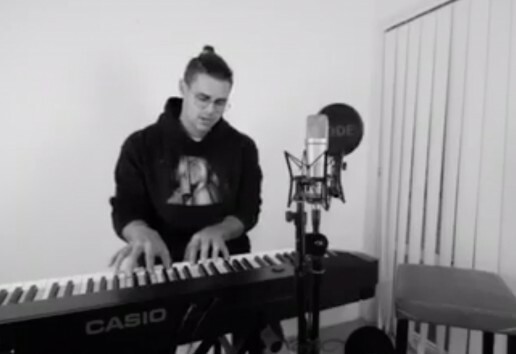 Black’s original audition video for the contest was a soulful performance of Sam Smith’s Too Good at Goodbyes featuring fellow Gold Coaster Hemi. “It got us through and I placed fifth in my heat to advance to round one of the finals,” Black said. Fans who download the Megastar app on their mobiles have 48 hours from 7am today to vote for Black’s latest video and send him through to the next round. “I’m sitting in 10th at the moment and the Top 10 go through,” he said. Devised by ASX-listed entertainment app firm MSM, which has more than 130 million social media followers, the competition covers categories including music, dance, sport, extreme, comedy, magic and variety. “I’d love to bring home first place to and for Australia,” Black said. Voters can download the Megastar app, search for Chris Black and click on his video to vote or click on the link in his @chriddyblack bio on Instagram. Fans can also follow Black’s journey via his Facebook page.